Did you crack open a copy of the St. Louis Business Journal this week? 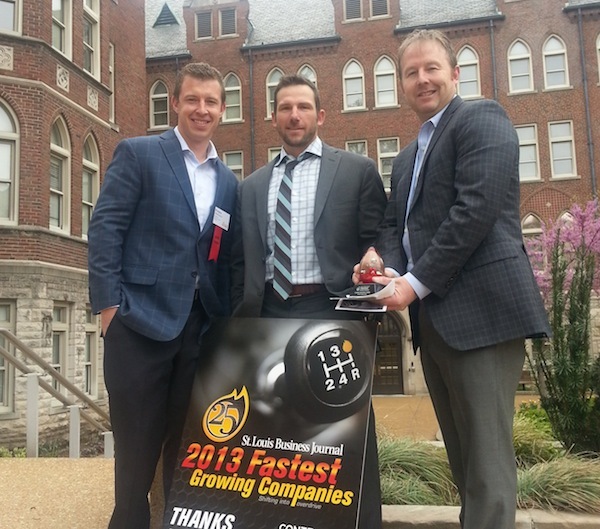 Innovative is recognized at one of St. Louis’ 25 fastest growing companies for 2013. A great honor and one that takes a great internal team as well as the right partners to make it happen. An award ceremony was held Friday morning on the St. Louis University campus. A nicely organized event. Thanks to the Business Journal for putting this together and recognizing growing companies in St. Louis! On some rainy days, we get the chance to build our strategies as a company. We greatly appreciate all the hard work of these employees and the others still out on the job sites. We wouldn’t be in the position that we are today without all of you! Thanks! 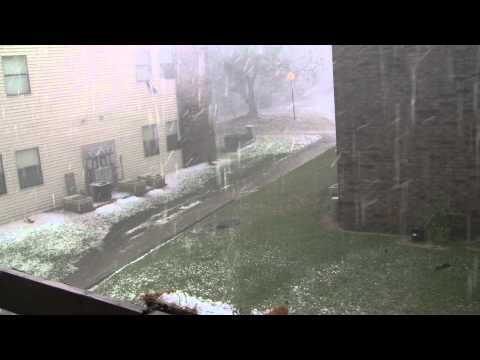 Norman, Oklahoma residents celebrated Easter weekend with golf ball sized hail and winds up to 60 miles per hour. Residents ran for cover and scrambled to protect cars, homes and other belongings from the damage that hail storms inflict. Many homes suffered significant damage to siding and roofs. Now clean up begins. Make sure contractors have an Oklahoma insurance license. TPO or Thermoplastic polyolefin is one of the fastest growing commercial roofing products. TPO has gained popularity and broad industry acceptance because of its reliability, cost effectiveness, and performance. It is also environmentally friendly, energy efficient and very easy to install. 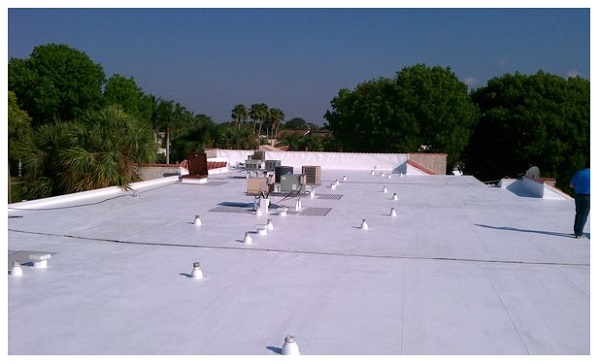 With proper installation, TPO roofs can last for 10-20 years. Aside from all of TPO’s benefits mentioned above, one of its best features is its resistance to ultraviolet, ozone, and chemical exposure. The high reflectivity and resistance quality of TPO reduces the heat gain of your structure. When it comes to durability, nothing beats DaVinci slate roofing. 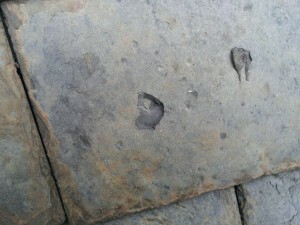 Natural slates are durable too; however, they can be brittle and get easily damaged by hail and other natural causes. And unlike natural slates that have a tendency to crumble or become flaky, DaVinci can maintain its quality in the long haul without having the need for repair or replacement. 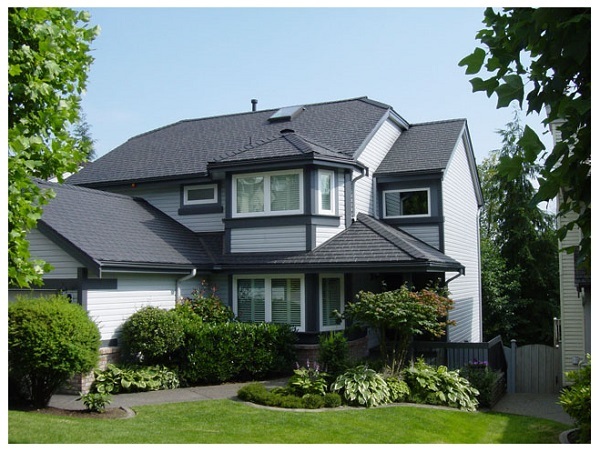 Appearance is not a problem with DaVinci slate roofing because DaVinci has developed a line of synthetic slate roofing materials that resembles that of natural slate shingles. The DaVinci slate is fashioned to look like genuine slate roofing and comes in beautiful colors and blends. Not only will you have peace of mind that your house is protected, but you can also achieve that natural look that you desire for your home without having to worry about expensive maintenance and repair. Aside from durability and appearance, another thing to consider when choosing a slate is the ease of installation, and DaVinci offers just that. Not only is it incredibly durable and beautiful, but it is also easy to install. Price can be an issue when installing slate roofing but not with DaVinci, because it is approximately one-half the installed cost of natural slate shingles. Backed by a 50-year warranty, DaVinci slate roofing definitely is your practical and economical choice. 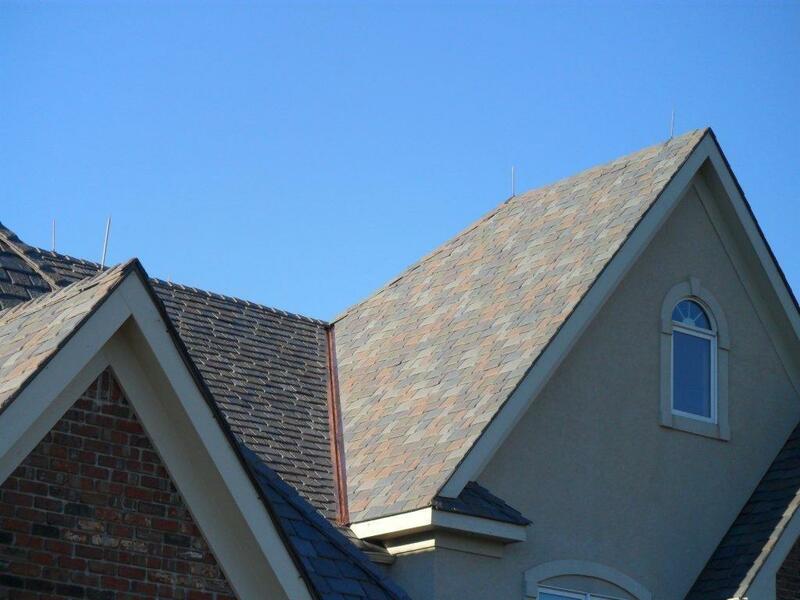 Choosing a roofer in the St. Louis area is an important decision. You want your roof done right the first time. Don’t wait on having your roof inspected by a professional roofing contractor. Waiting can be more costly and may send the wrong message to adjusters. If you wait too long, the problem could possibly get worse. Situated in their brand new 4,000 square foot corporate office on Rahning Road in St. Louis, 2012 sales projections are being reviewed by Christian Larson, Brian Benson and Patrick McNichols for the local region as well as their satellite offices in Oklahoma City and Lee’s Summit (which serves both the Kansas City, Missouri and Kansas markets). Based on the jobs in progress, bids awarded and sales forecasts, the future is looking bright for the owners of Innovative Construction & Roofing (ICR). Founded in 2008 with more than 50 years of collective hands-on industry experience, ICR has combined the latest roofing industry technology with the craftsmanship and expert knowledge of historic slate and tile roof restoration to become the premier provider of commercial and residential roofing, guttering and insurance restoration construction services in the Midwest. 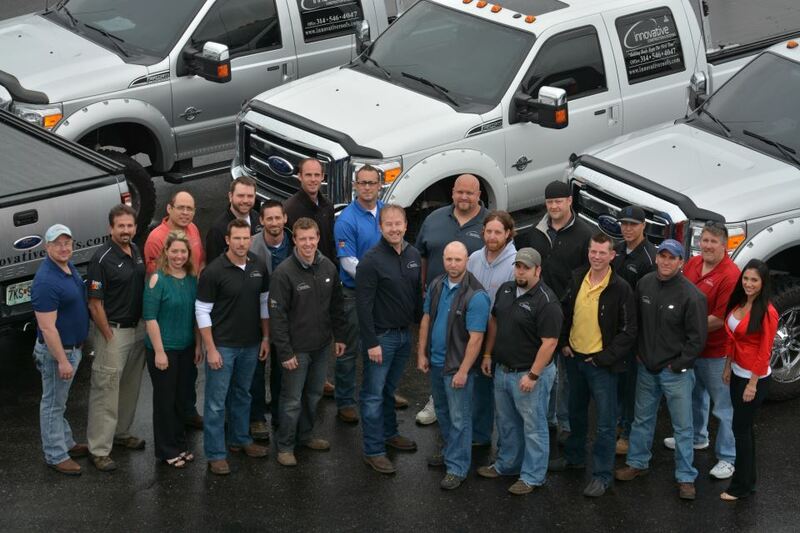 After an impressive 2010 in which the company realized its highest earnings to date ($6.15M), ICR was honored with the #85 overall ranking in Roofing Contractor Magazine’s list of the Top 100 roofing contractors in America. That recognition was followed-up by more than doubling previous record earnings the next year ($15.1M). Thousands of roofing projects have been completed by the ICR team in the St. Louis area alone (50 so far this year as of the date of this article, with several more in process), and they are projecting 2012 revenues to exceed $25M. ICR has access to a large, quality workforce which enables them not only to take on large projects but also to finish all projects more timely than the competition. They only use the highest quality materials, and provide a Lifetime Labor Warranty on all work – a major differentiator in the industry, as most only offer a 5-10 year limited labor warranty. tar reviews (the most of any roofing contractor in the area). In Overland Park, KS there are 47 positive 5-star reviews (again, the most of any roofing contractor in the area). And in Oklahoma City there are 13 positive 5-star reviews, placing ICR in the top five of all roofing contractors. ICR employs a combination of experienced craftsmanship, state of the art equipment, and cutting edge technology to ensure the best possible completion times as well as bottom-line cost to their customers. They utilize the industry’s premium project management software, which is automatically linked to their online accounting software. Additionally, ICR leverages remote satellite imagery tools to enable accurate, real-time roof measurements which speed up the inspection and report development process. Each owner and all salespersons have laptops and printers in their trucks to enable delivery of reports and proposals to the customers before they leave the property. Residents in Shaw/Tower Grove, University City and South City are witnessing major transformations with 100+ year-old slate and tile roofs being fully replaced by insurance companies while maintaining their historical status thanks to the ICR team, who have already completed 30 jobs in these neighborhoods with an additional 50 in process, and several more planned throughout 2012. Regardless of the size or complexity of your project, Innovative Construction & Roofing will tailor a solution to suit your needs and are experts dealing with insurance claims if needed. To reach ICR, please call (314) 546-4047 and feel free to learn more about their Lifetime Labor Warranty, Better Business Bureau accreditation and so much more by visiting them online at InnovativeRoofs.com. You can also connect with them on Facebook at facebook.com/InnovativeRoofs. Slate Roof Repair or Replace? This picture shows an indicator of hail damage on a slate roof. Damage such as this is often not visible from the ground. Do you see a hole or crack in your slate roof? It may be that only a minor slate roof repair is needed. Or, it could be an indicator of a larger problem. Because slate roof damage is often not easily observable to the untrained professional, homeowners may wait too long before having their roof fully inspected. And even then, you may have a slate roof repair contractor recommend only fixing that immediate repair, without understanding the extent of the damage. If you see any damage at all to your roof — no matter how minor — you should have the roof inspected to uncover any hidden damage. maintenance instead of “An Act of God”. 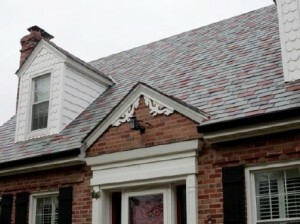 Your tile roof may qualify for full roof replacement, by insurance, at little or no expense. This could save you thousands in out-of-pocket costs for repairs. But many contractors fail to recognize the extent of damage and recommend only routine maintenance. In the past two years Innovative Construction and Roofing has assisted over 200 homeowners in St. Louis’ historic neighborhoods replace their slate and tile roofs at little or no out of pocket expense. In addition to providing peace of mind, this helps to preserve the historical landscape of the community while increasing the overall market value of the property. Of St. Louis homes where we have conducted detailed roof inspections, over 70 percent have qualified for a full replacement via the homeowner’s insurance policy. To schedule an inspection with one of our slate and tile roof experts, call 314-546-4047 or complete ourinspection request form. The inspection is free and you are not obligated to follow any of our recommendations or use our services. Whether or not you know you have damage, a thorough inspection protects you from any surprises and gives you the peace of mind that you proactively addressed the situation. You also have a written, third party inspection in case any insurance issues arise in the future. In this video, co-owner Patrick McNichols shares some ideas about how to choose a slate roofing contractor. 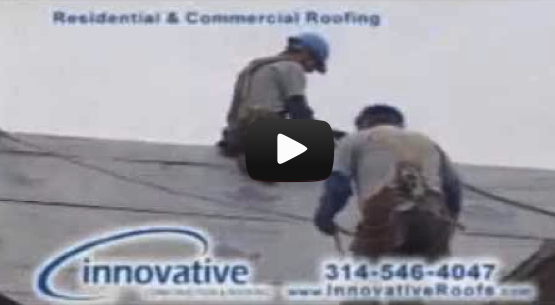 Innovative is a leading slate roofing contractor in St. Louis, Missouri. Innovative’s approach to slate roofs starts with a thorough inspection to make sure there is no hidden damage. 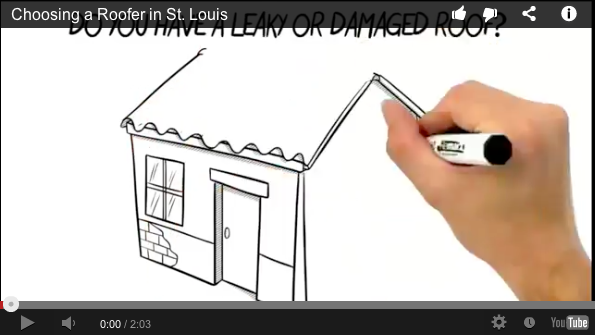 Recent storms caused damaged to slate roofs in many of St. Louis’ historic neighborhoods. Taking precautions and getting an inspection will show the insurance company you are being proactive about protection your most important investment. 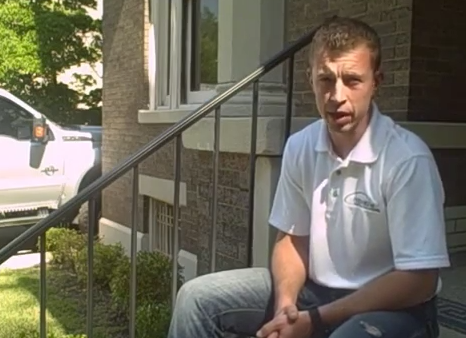 This is a St. Louis roofing commercial we shot with the YP.com a while back. It promotes our lifetime warranty and ran locally here in St. Louis and is posted online.